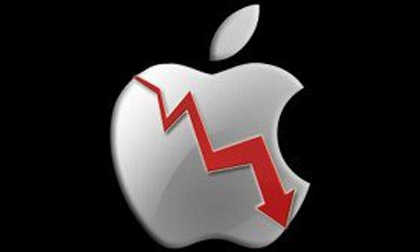 Apple’s shares in the stock market fell and are down $20 from their record $135 as of Aug. 14 and if they don’t act soon, one rotten apple will spoil the whole cart. The phenomenon iPhone maker holds the largest market value in the world and if their stock continues to plummet, other markets could go down with them. If a decision isn’t reached within a certain unspoken time frame, consumers become child-like: tired, antsy and impatient. And these three things only make the job of the “parent,” AKA the decision-maker, harder. To avoid angry stock brokers and ornery children, make a smart and safe decision – but make it fast. The era of PR continues and the same lesson learned by Apple is true for PR experts. If a PR decision isn’t reached quickly enough or a press release comes out late, clients become frustrated and every moment wasted becomes another moment of deteriorating support. While there is no written rulebook on timeliness, every PR agency should know the simple tips and tricks. Like speedy clockwork, promotion game plans should be finalized and tweaked. Press releases need to be prompt and well ahead of the event they publicize. Client telephone conferences should be scheduled and occur on that scheduled time. PR is a race against time, so stop wasting and start writing so your business can soar.